Soprano Annabelle Han and Pianist Keith Chambers take us on a tour around the world with music from timeless Italian, German, English, and French composers such as Handel, Donizetti, Poulenc, Strauss, Mozart, and more. 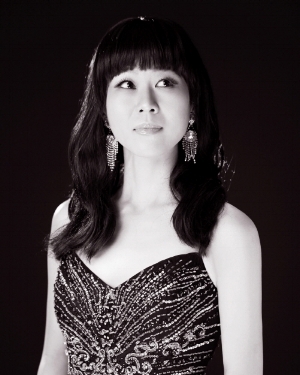 General admission tickets for Annabelle Han's "Opera Night" are $20 at the door. Annabelle Han, Korean-born soprano, has been hailed as a “bright talent,” and lauded by MetroLA as possessing a “voice and physical performance [that are] both spectacular.” Ms. Han started her career and training in Seoul Korea, where she trained as a classical pianist. After moving to the United States, she performed extensively on the West Coast. Ms. Han trained her voice with Janice McVeigh, voice faculty at the University of Southern California and Brent McMunn, USC Opera Director. She went on to further training with renowned voice teacher Nina Hinson. She graduated with honors from California State University, holding a Master of Music in Vocal Performance.